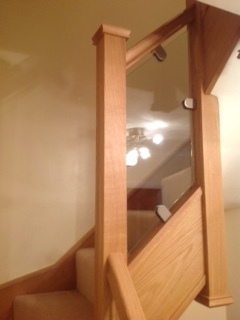 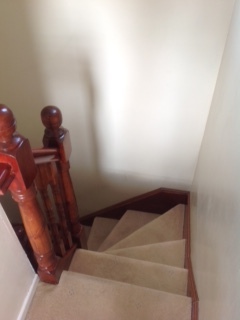 This recent project involved transforming the original staircase which had dark stained stair parts, into a lighter more modern look with oak stair parts and cladding and glass balustrade. 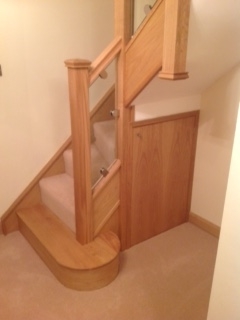 The oak was lacquered prior to the glass being installed. 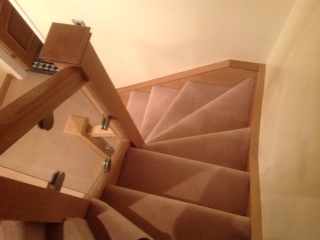 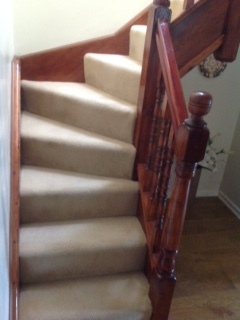 The client was very pleased with the result.